This beautiful wooden cottage was built in 2008 and is constructed mainly with hard wood imported from Brazil. The property sits on an acre of land and the house area is 3200 SQ FT. It is primarily on two levels. The upper lever is approached by a curved stairway into a beautiful paved courtyard with hanging orchids. There are 2 large ensuite bedrooms on either side of the house. The master bedroom is air-conditioned has a large wooden deck. foreigners must apply for an alien landholding license. Renovated waterfront opportunity complete with a large concrete boat house, and 97 feet on the water with a private dock! Glass stair railings, marble and wood floors, and lots of windows create a clean, minimalistic look. Large open kitchen with great views to the outside patio, pool and waterway. Impact glass. 2 car garage. 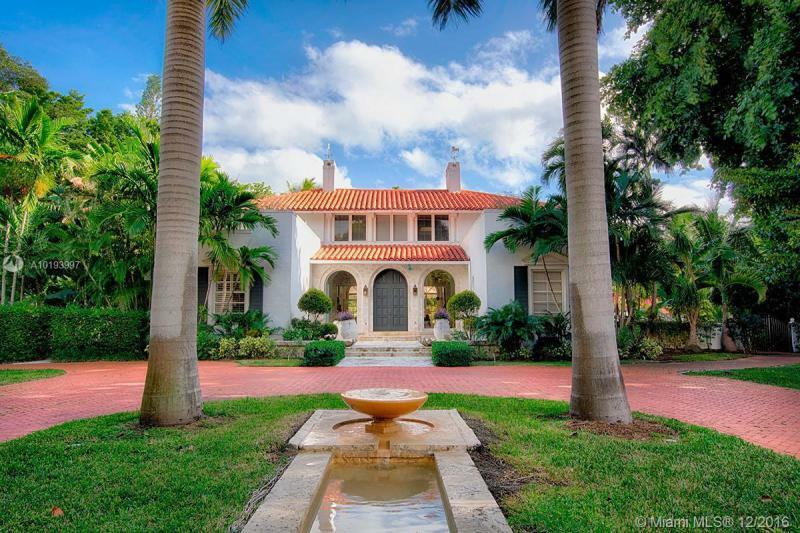 Short ride to the best of Coral Gables, Coconut Grove and Key Biscayne. Vacant and easy to show. Dreaming of a boat right behind your house? This is it! Magnificent 2003 elevated home. Features 4 bedrooms upstairs with bathroom in suite, huge landing, rooftop terrace. Downstairs living, dining, TV room, kitchen and another bedroom with bathroom. Powder bathroom. Impact windows, Australian wood in all the house and brand new pool. Private elevator. Beach club membership included. Spectacular ready to build home! This unparalleled modern estate will be emerging in the striking High Pines! This 6 bedroom, 6.5 bathroom and 3 car garage will have a lot to offer. Over 8,000 Sq. Ft. of construction on a 12,500 Sq. Ft. lot, this house will offer features such as a pool, high impact windows, a study and much more. With too many feature and finishes to name this house will have exquisite finishes and amazing details abound. To be built by ICH Builders, LLC. Luxurious,classical revival style home built in 1926. Gated property sits on nearly 62K sq/ft of Gables landscaping and set back 172 FT from Old Cultler Rd. Design elements including arched entries and large foyer,which opens into great room w/ marble flooring throughout. Main floor consists of bedroom, living, dining & chic bar area that exits to breathtaking cabana style pool, outdoor shower and 5 terraces overlooking property. Includes floor plans created by renowned architect, Rafael Portunodo. Impeccable two story estate on prestigious Pinetree Drive. Professionally renovated and remodeled, inside and out, to perfection. 2005 construction with five large bedrooms plus playroom/den. Double-height ceilings in living area, Ornare kitchen, Viking appliances, fireplace, stone and wood flooring throughout, and Crestron system. Fantastic outdoor space complete with beautiful pool, covered patio and outdoor kitchen. Every detail was carefully thought out and executed to perfection.